Every day, we are bombarded with ads telling us that we need top-of-the-line makeup to look beautiful, and anything less is unacceptable. But is this stigma surrounding low-end cosmetics really deserved? These millions of women decided to find out in a totally interesting way: They tried using cheap drugstore makeup for their entire lives. Wow. What an absolutely incredible social experiment. 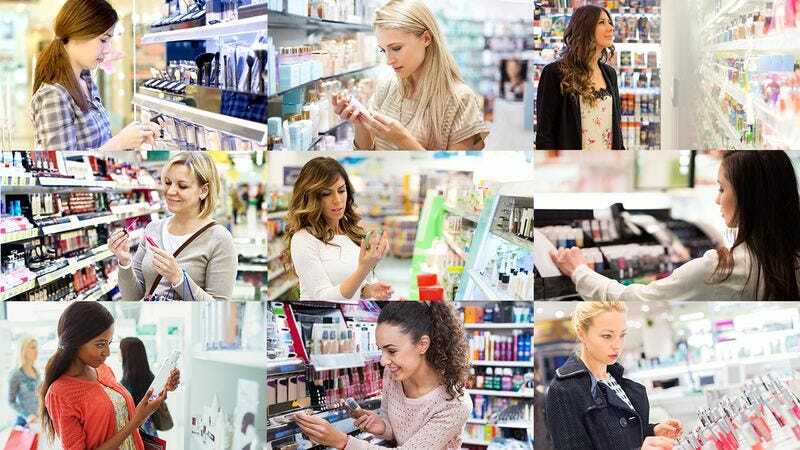 Ranging in age from 11 to 63, these millions of women have been walking into their local CVS or Walgreens, selecting some budget eyeliner, mascara, and lipstick straight off the shelves, and using those items as their exclusive sources of makeup. What makes this even more amazing is that unlike most social experiments, which only last a week or so, these millions of women showed complete dedication by being willing to spend their entire adult lives using these non-name-brand foundations and concealers. Incredibly, at no point over the decades that they’ve been illuminating how the cosmetics industry manipulates the way we view ourselves did these brave social experimenters drop more than $100 at Ulta to try out a new look. Though it’s hard to imagine how anyone would be comfortable using $6 blush for even seven days, the scores upon scores of women went above and beyond, suffering through makeup hauls that didn’t even top out at $35 for years on end to prove a point about society. While this undertaking already sounds crazy difficult, it gets even more impressive when you think about the many events that these women attended while wearing drugstore makeup. From job interviews to first dates and even weddings, these millions of women never caved and used an Urban Decay Naked eye-shadow palette or a Kylie Jenner lip kit. They simply toughed it out while contouring their faces with cheap drugstore highlighters and even cheaper drugstore beauty blenders, all in the name of a fascinating social experiment. Simply amazing. To all the women who have been participating in this eye-opening trial, your point is well-made and totally inspiring. Now go treat yourself with a shopping spree at Bloomingdale’s. You’ve earned it!